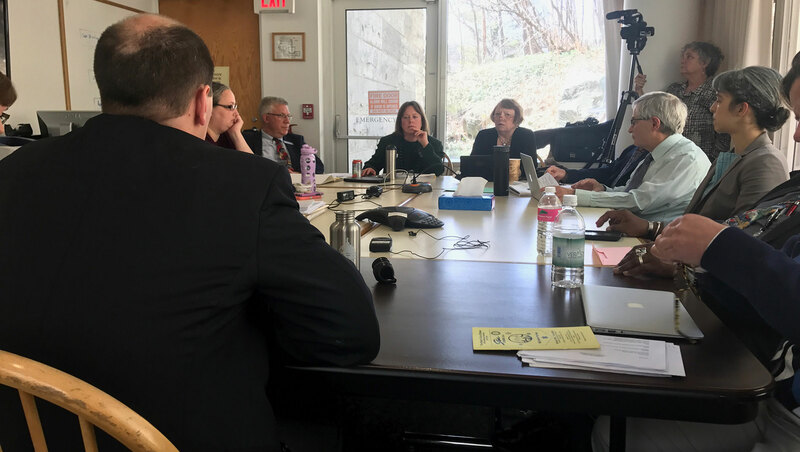 Yesterday, the House General, Housing, and Military Affairs Committee voted 7-4 to support raising Vermont’s minimum wage to $15 an hour. Thank you for all of your calls, emails, and powerful personal testimony! While this is great news, your help is needed now—more than ever—as the bill is now being sent to House Appropriations where it’s fate is not clear! We need your help letting committee members know that they need to pass the bill ASAP! Here’s the list of names, emails and phone numbers. Remember: Every call and email counts! After you call and email these Representatives, call Gov. 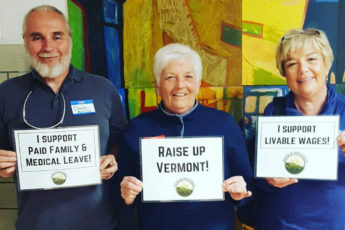 Phil Scott at (802) 828-3333 and urge him to stand with thousands of working Vermonters who have waited to long for a wage that enables them to support healthier families, create a stronger economy, and build more resilient communities. The time is now to raise the quality of life of our friends and neighbors by raising Vermont’s minimum wage. But it will only happen if legislators hear loud and clear from folks like you. Tuesday, May 1, State House lawn, State Street, Montpelier. Join us and rally in support of worker rights & human rights and to celebrate working class power and unity. There will be workshops on citizen lobbying, time to meet with lawmakers, a petition delivery to Gov. Phil Scott, and a rally on the State House lawn. Register today!